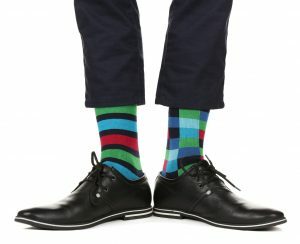 Some things in life are easy to predict – like socks for Christmas (size 42 and colourful please). Currently in the world of sales, Predictability is highly sought-after but unlike Christmas socks it’s not always so easy – when potential customers seemingly put all sorts of obstacles in the way. In old sales speak we used to call these obstacles Objections and the term came with the accompanying spin that they are ‘buying signals’. Is this true or just an attempt to keep salespeople from feeling deflated when they get one? My take is that objections are one of many signals potential customers give us during the buying process. If you think of them as gifts and accept them as you would a gift, they can be extremely valuable in achieving Predictability. Why? Because a customer committing to doing something within an agreed timescale is at the heart of Predictability. And objections are a great opportunity to test if a potential customer is committed to taking actions or if they are merely saying the words to us. That’s why the best salespeople don’t shy away from objections: they explore them, get to understand exactly what’s behind the objection and the level of impact on the project. Then they work with the customer to find a solution – creating a mutually agreed plan. If the customer takes the actions they agreed to, it’s a strong signal of their commitment to doing what is needed to place their order within agreed timescales – Predictability.